Hood College has been granted $650,000 by the National Science Foundation’s Scholarships in Science, Technology, Engineering and Mathematics (S-STEM) program. The project, titled “Interdisciplinary STEM Education and Mentoring for Transitioning to STEM Success,” is under the direction of Kevin Bennett, Ph.D., professor of chemistry, who will oversee implementation of the grant. Assisting with implementation will be Ann Stewart, Ph.D., associate professor and chair of the Department of Mathematics; Diane Oliver, Ph.D., assistant professor of psychology; Drew Ferrier, Ph.D., professor of biology and director of the coastal studies program; and George Dimitoglou, D.Sc., associate professor and chair of the Department of Computer Science. This is the first NSF S-STEM scholarship grant awarded to Hood College. From the 277 proposals submitted, Hood’s was selected for one of 85 new scholarships in STEM that will be awarded by the NSF’s Division of Undergraduate Education this year. “This is national recognition of the strength of the STEM programs at Hood College,” said Bennett. The funding will support high-achieving students with demonstrated financial need at Hood College. Throughout the five-year award, this project will fund 12 four-year scholarships and six two-year scholarships for students who are pursuing bachelor’s degrees in biology, biochemistry, chemistry, environmental science, mathematics, computer science or computational science. The four-year scholarships will begin in fall 2019, and the two-year scholarships will start in fall 2021. The scholarships will average $7,500 per academic year. Program elements include faculty and peer mentoring to assist students as they progress throughout their academic careers, peer-led tutoring, first-year seminar and research methods courses, and a summer transition program to prepare rising juniors (including transfer students) for an increase in rigor as they move to upper-division course work. Bennett, Stewart, Dimitoglou and Ferrier will select scholarship recipients, plan and implement the transition program, mentor students, coordinate the first-year seminar, design the Introduction to STEM Research Methods course, and coordinate industry site visits and student conference participation. Oliver will design and conduct a research study to examine how effective the new STEM courses are in providing a strong basis for ongoing STEM study, how effective the summer transition program is in preparing students and increasing retention, and whether the interdisciplinary STEM cohort model increases student preparedness for the STEM workforce. This grant is helping Hood strengthen its STEM programs in a time when the need for professionals in STEM fields continues to grow. Maryland long-term occupational projections (2014–2024) show that the state will need an additional 41,479 employees in target occupations by 2022: 33,856 in computer occupations, 2,319 in mathematical science occupations, 2,505 in life sciences, 1,458 in biological sciences, 429 in biochemistry, 257 in chemistry, and 655 in environmental science. In particular, Frederick County is home to 72 bioscience companies. 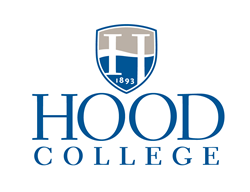 Hood College is an independent, liberal arts college, offering 32 undergraduate majors, four pre-professional programs, 17 graduate programs, two doctorates and 11 post-baccalaureate certificates. Located in historic Frederick, near Washington, D.C., Baltimore and the I-270 technology corridor, Hood gives students access to countless internships and research opportunities.